This chapter explores the use of film as a good tool to increase intercultural awareness, reflecting on the relevance of recent research developments in this area for current approaches to foreign language pedagogy. English teachers have got several issues to deal with. Two of them have been chosen to be studied. The first one is regarding the raising of intercultural awareness in teaching English to very young learners. A second matter that has been examined is the one related to the use of film as an effective way to enhance intercultural awareness to come to the final thought that a film-based methodology is not only valid in terms of intercultural awareness but also to introduce new contents and concepts to have a valuable effect in motivation and teaching improvement, including the language syllabus, teaching materials, language assessment, and teacher education. The aims of this chapter are to analyse advantages and disadvantages of using film as a resource for teaching English to very young children and to give some ideas on how to overcome some drawbacks. It also provides a general picture of the elements that are involved and the principles to be considered in the design of a film-based syllabus. It is addressed from two basic perspectives. The first part is an attempt to make links among intercultural communicative competence, intercultural awareness and stereotypes, reflecting on the relevance of recent research developments in this area for current approaches to foreign language pedagogy. The second part relies on the conceptual connection between film and stories to take advantage of the long and ancient tradition in the use of stories with children. It then reviews recent research on stories to explore the extent to which films may be seen as good tools to promote intercultural awareness. In addition, film-based didactic suggestions from a Plan-Do-Review framework (Ellis & Brewster, 2002) to be implemented in teaching English for Early Childhood have been designed as part of this work. Each member of the FLAME Research Group is committed to progressing language pedagogy by carrying out active research into multimodal approaches to teaching and effective use of films, media, visual literacies and audio-visual material in the classroom. 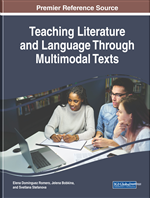 Research demonstrates how such approaches are beneficial to both learner and teacher and should be integrated into language teaching curriculum and educational contexts around the world. (FLAME, 2017). Moreover, recent studies (Hüpping & Büker, 2014; Rábano, 2014) establish direct relationships between language pedagogy, communicative competence and interculturality, related with the social norms and the willingness to establish communication. The concept Intercultural Competence (hereinafter IC) emerged (Kang & Dutton, 1994) pointing out that the interferences that we perceive from others and our interpretation of their actions, could produce cultural misinterpretation. Gudykunst (2002) identified different dimensions that might be subsumed under the term IC, and also linked to human behavioural aspects. IC does not only imply that people must be tolerant and respectful towards different cultures, but they must also be willing to communicate and to consider it as an opportunity for interpersonal enrichment. “Intercultural dialogue is a major tool to achieve this aim” (Council of Europe Ministers, 2008, p.13). Competent public authorities and education institutions should make full use of descriptors of key competences for intercultural communication in designing and implementing curricula and study programmes at all levels of education, including teacher training and adult education programmes. (CEM, 2008, p.43). IC is defined as the ability to interact effectively with people from cultures that could be recognise as different (Guilherme, 2000). Drawing a parallel between IC and effective interaction, it could be said that this shows a need to be explicit about exactly what is meant by the words intercultural communicative competence (ICC), which includes aspects of great relevance in the contexts of teaching and learning contexts: “Knowledge, motivation and the ability to interact effectively and appropriately with members of different cultures” (Wiseman & Koester, 1993, p. 34).